A worksheet for practicing and learning demonstrative pronouns ''THAT and THOSE. 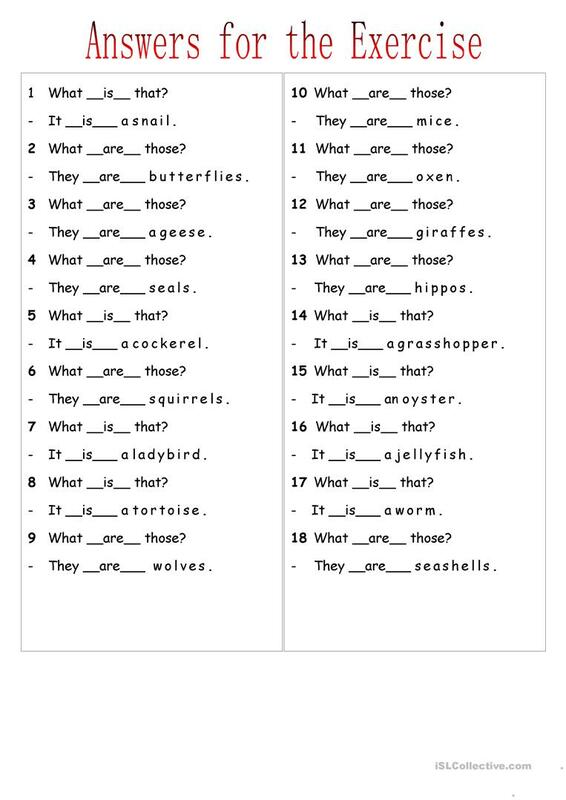 Students ask and answer correct form of the questions and the name of animals. They are also required to write plural forms of the names where it is necessary. Solution for the exercise is given. 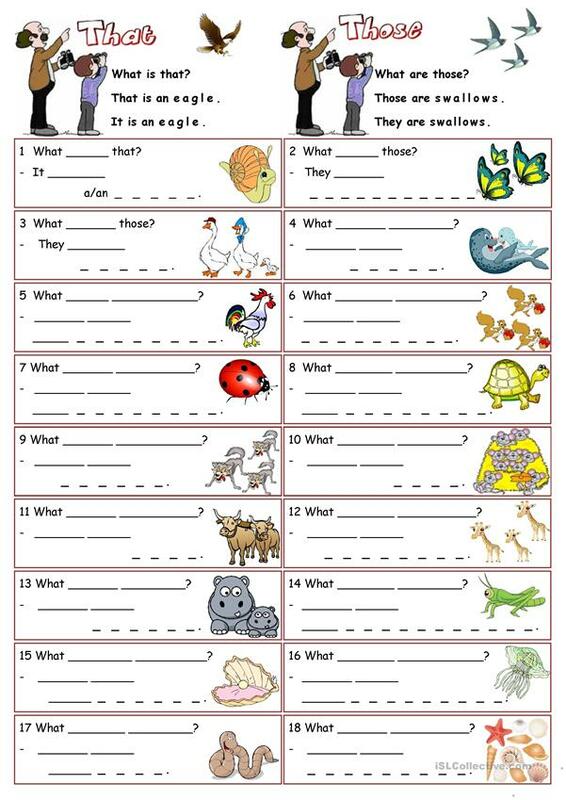 The present printable, downloadable handout is meant for elementary school students at Elementary (A1) level. It is valuable for practising THIS, THAT, THESE, THOSE (demonstratives) in English, and can be used for developing your students' Writing skills. It is about the theme of Animals. The exercises come with the answer key. maker1 is from/lives in Turkey and has been a member of iSLCollective since 2012-01-17 12:54:04. maker1 last logged in on 2019-04-23 13:54:34, and has shared 79 resources on iSLCollective so far.